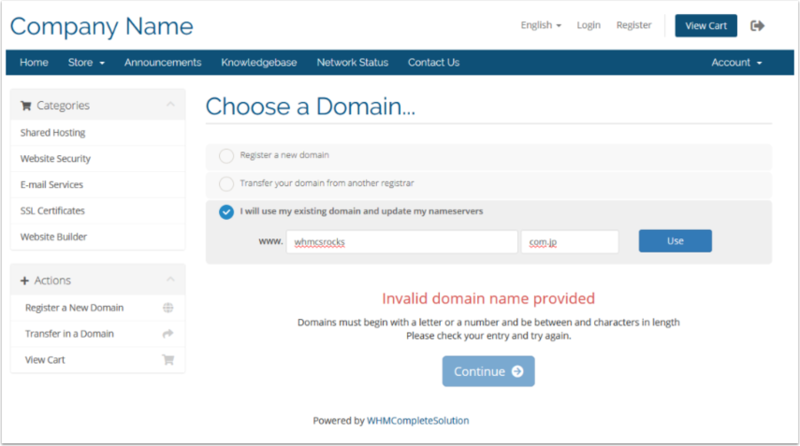 After applying the 7.7 update, you may encounter a situation whereby the Choose a Domain... step of the ordering process reports Invalid domain name provided response when selecting the I will use my existing domain option. To allow a customer to enter their TLD in this field (in this example .com.jp), either record must exist. Once the TLD is added to either location, it can be used in this field.